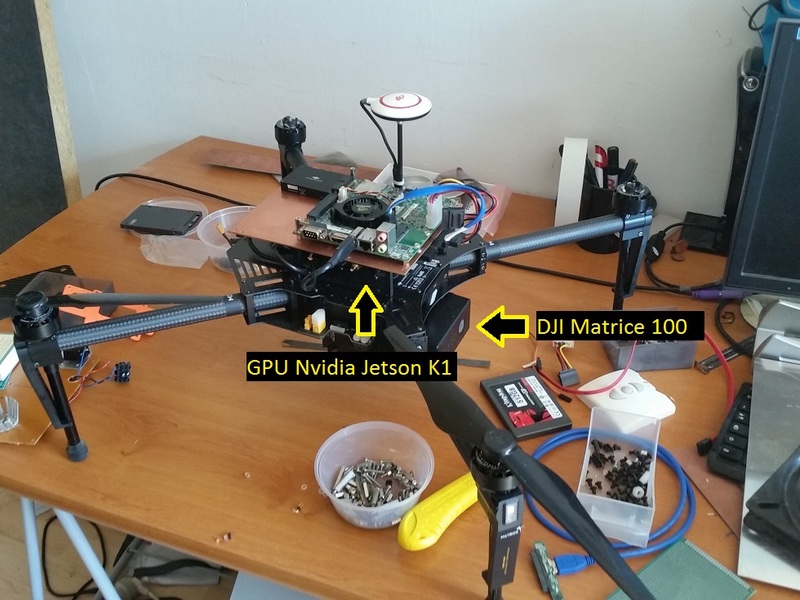 Originally started as a project with my students, I finally decided to go back to put a SDR on a UAV. 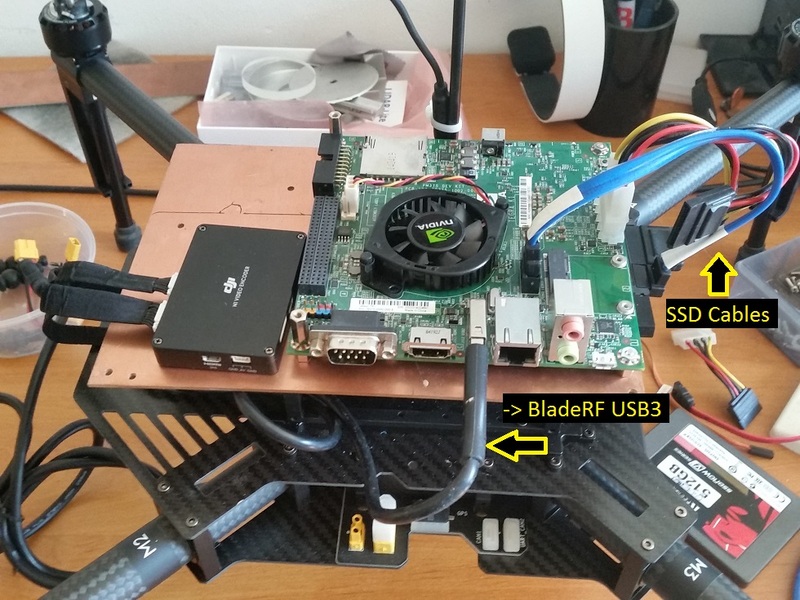 The goal here is to do some propagation measurements, by recording received RF signals at different altitudes and use the video link (FPV) to see the user interface from the ground, while storing the collected samples onboard on a SSD. Main issue : keep it light, working at low power. Just ordered a SDRPlay this morning to extend driver list. 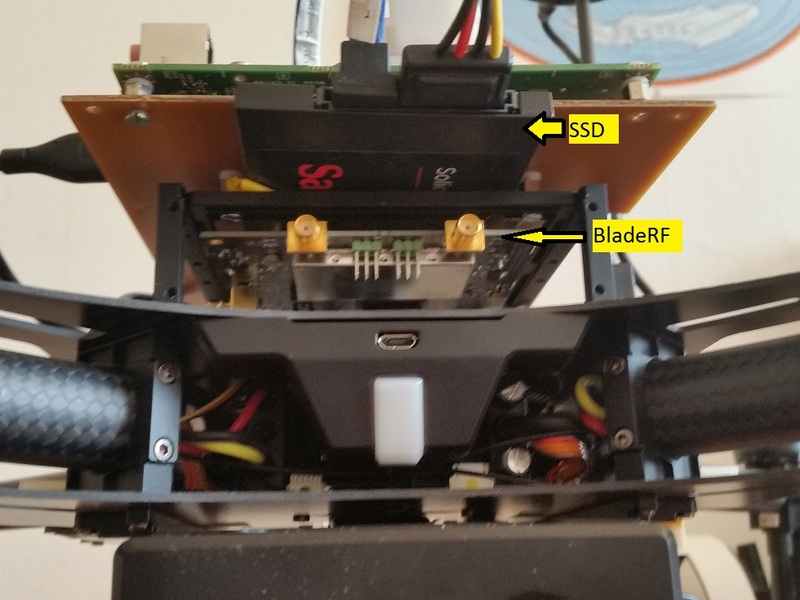 This will extend the currently supported hardware set : hackRF, bladeRF, AirSpy, RTLSDR, SigFOX, Perseus and FUNcube. After long hours of development, I have successfully finished a first release of the “SDR Server” (formerly known as “SDR Cloud” system but this name was also chosen by other team). This software solution is able to share customizable (and programmable) IQ Streams of your favorite radio over the network for remote listening or processing. Currently only my own SDR software can handle the remote connection, but a “extio like” DLL is under work. SDR streams can be remotely reprocessed and re-dispatched as one “sdr server” can receive and share streams coming from other servers. A script engine accepts JSON requests or script snippets to change its behavior. Basically the protocol relies on HTTP and uses “application/content-stream” content-types. It means the streams can by sent across network proxies and standard TCP/IP equipment. Samples are sent using a VITA49 like format, with samples encoded as INTs or FLOATs depending on bandwidth. 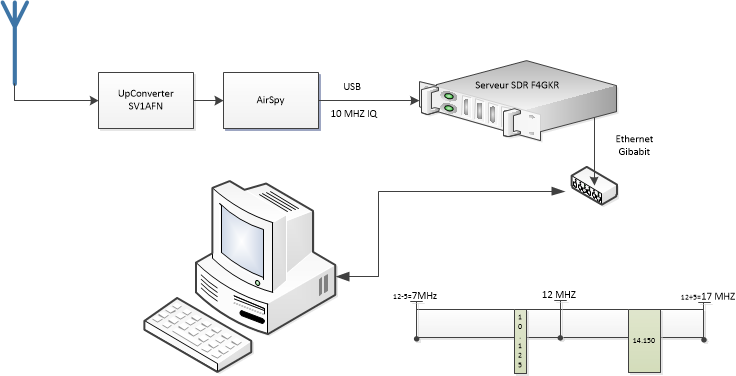 An AirSpy USB receiver is attached to the PC box running the SDR Server software. 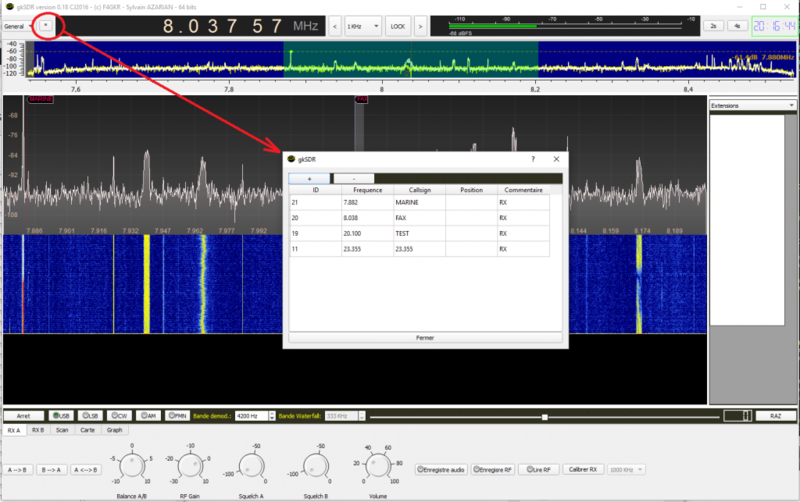 This AirSpy is fitted with a SV1AFN upconverter, so it is able to receive bunches of 10 MHz of HF at once. As the two streams fall inside the 10 MHz of the AirSpy, they can be served over the network simultaneously… That’s what I show below, where two instances of the gkSDR receiver are running on the same remote machine and processing the two streams at the same time. Basically the boot script checks what hardware is connected and decides what to do. Note that the server accepts REST queries through a JSON over http mechanism so the settings could have been set manually. Each stream can be shared over multiple clients, as long as the server running the software as enough processing power. To avoid central frequency tuning conflicts, the boot code can decide if the band is locked (as in this example), or not. Remote stream decoding (analog linear modulations or digital modulations). 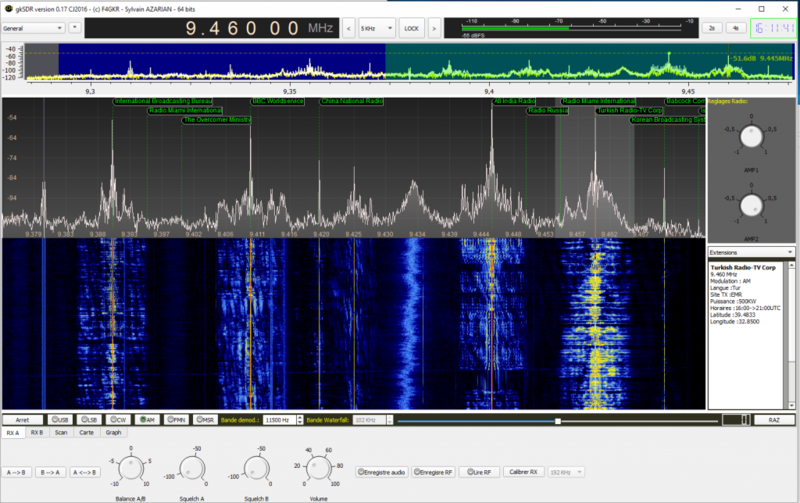 This software to share SDR IQ streams over the network is not Open Source and will probably not be free. Currently documentation in PDF is only available in french. Feel free to contact me in case you need help ! Donwload here : http://sdr.f4gkr.org/download/gkSDR64_Install.exe (Qt installator, requires internet connection for Download). If you have already installed previous release, just look for “maintenancetool.exe” in program folder and go for update. Some translations may be missing, please do not hesitate to contact me ! I am pleased to release the english edition of my SDR software called “gkSDR 0.16″ for english users. The user interface is fully translated, some tricks still pending for complete internationalization (the Terrain Elevation Model included in the download is only France so far, get in touch with me for other locations). 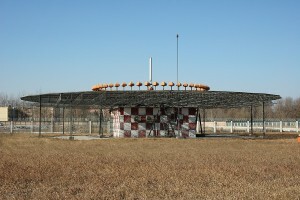 The VHF Omni Range (VOR) system was designed in 1937 and deployed by 1946 to provide a solution for airplanes to estimate their position and to follow their route by indicating bearing angle towards ground radio transmitters. At that time the system had to be completely based on analogue hardware and the design engineers created a sophisticated modulation scheme for easy processing at the receiver. There are now around 3000 VOR transmitters over the world, and this number is now decreasing, progressively replaced by GNSS systems like GPS or the coming European Galileo. 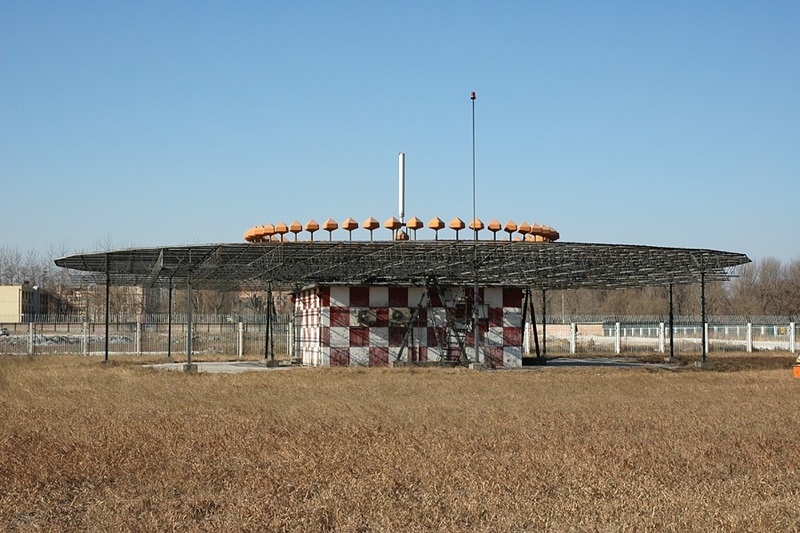 Operating in the 108 to 118 MHz band, these transmitters have been broadcasting their dual-modulation signals towards the aircrafts for more than 50 years and are still widely used by all types of aircrafts (see ). For several works on passive radar [see refs 2,3 and 4] I had to study in depth the signal transmitted by this system. One can find different details on the signal structure, my motivation was to check how accurate they were. 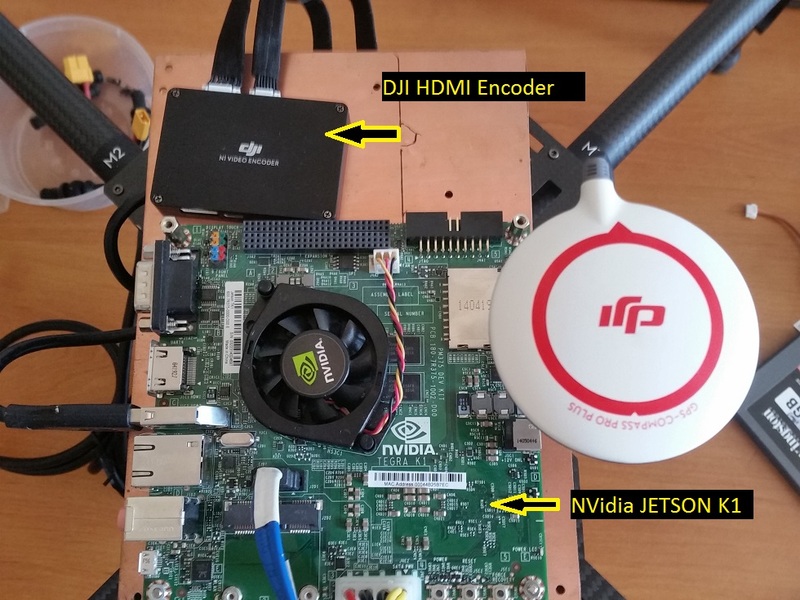 In this post I will describe the technique I used to process the signals acquired using a DVB-T SDR dongle and MATLAB. A central antenna transmits the REF signal, with a 30 Hz frequency-modulated signal. Meanwhile, other antennas (initially mechanically rotating and now using phase shifting techniques) transmit on a second carrier an amplitude modulated signal so that, from a given angle, the aircraft receives the two signals with a phase difference proportional to bearing to the station (figure 2). A second branch, containing the VAR signal (indicating the current angle to the VOR) is low-pass filtered. To check this model is accurate… lets find a signal, analyse it and compare with this equation ! I leave a few miles away the Rambouillet VOR transmitter (callsign is RBT), active on 114.7 MHz. I decided to go next to it with a RTL-SDR dongle and collect some samples to see what’s inside the signal. Figure 5 shows my car location respective to the transmitter. 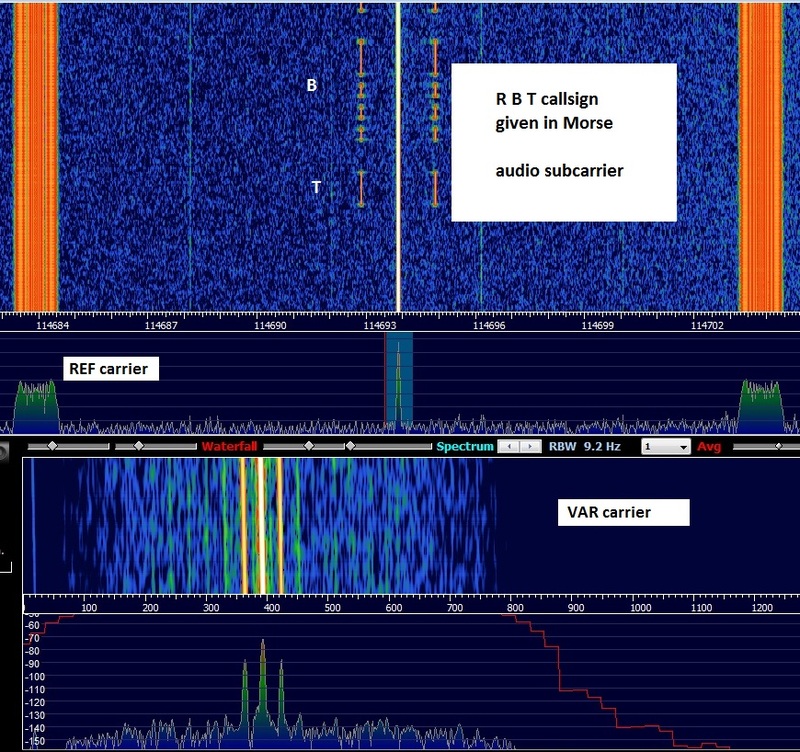 The VOR signals were acquired using the 1M samples per second setting, I manually set the gain to have a good SNR but no saturation (I was very close to the VOR, usually the transmitters use around 200 Watts). What can we say from the waterfall (from center to side bands) ? One other ‘multi trace’ symmetric carrier approx 9600 Hz away from central peak, should be the REF signal. 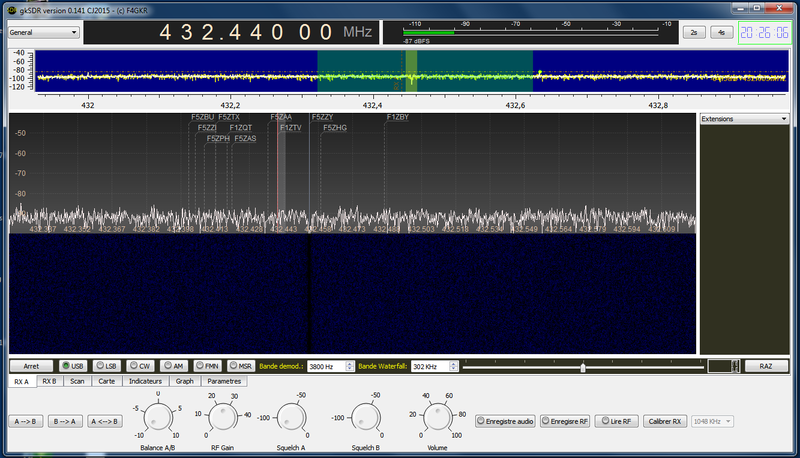 Let’s see how we can decode and process this signal with Matlab (or Octave). 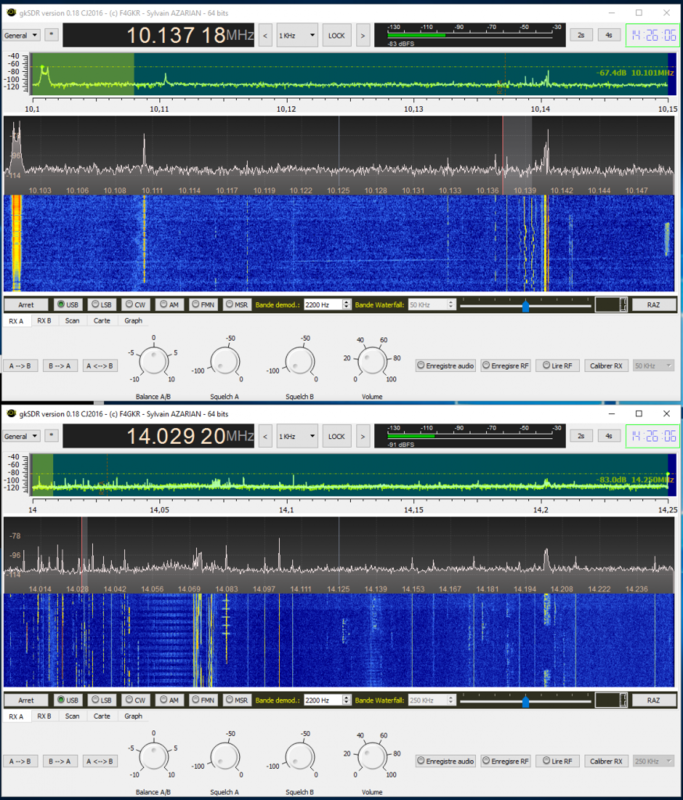 Okay, consistent with HDSDR display. Next step is to remove extra band and just keep the useful bandwidth. If the math showed before is correct, we should only keep from -9600+REF_WIDTH to +9600+REF_WIDTH. 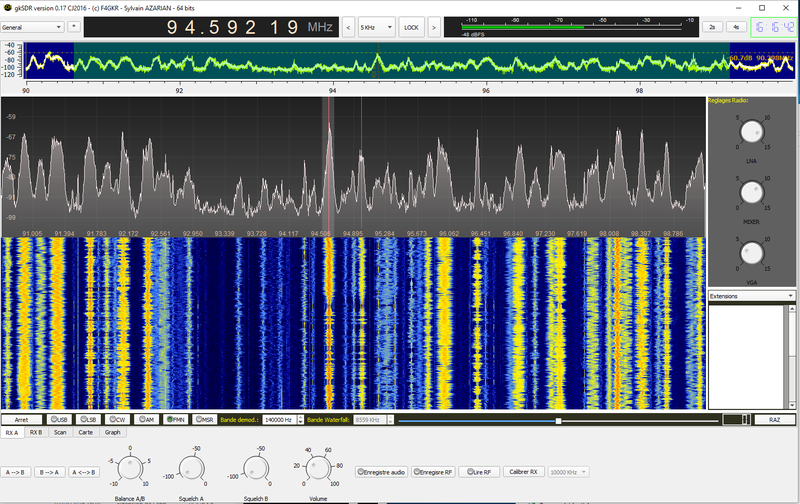 That’s around 30 KHz wide. As our signal is now band-limited, we have in fact too much samples… we can “downsample” (lower sampling rate) and trash most of them. In fact we have an initial sampling rate of 1028571 samples per second, but we only need 30000 samples per second (our useful bandwidth). this means we can keep only 30000/1028571 samples. To make it simple, we’ll keep 1/32 of the band. % This Software is released under the "Simplified BSD License"
% Copyright 2014 Sylvain AZARIAN - F4GKR. All rights reserved. % this list of conditions and the following disclaimer. %	provided with the distribution. % OF MERCHANTABILITY AND FITNESS FOR A PARTICULAR PURPOSE ARE DISCLAIMED. % ADVISED OF THE POSSIBILITY OF SUCH DAMAGE. % official policies, either expressed or implied, of Sylvain AZARIAN. Stay tuned for tutorial continuation ! Stupid deletion… backup corrupted… Murphy was with me.